The "O" Award is given to any person or group that makes their community better in any aspect. The award is in honor of Otha Young. Otha was a huge part of Juice Newton's career until his death in 2009. Otha will always be remembered as a very positive person who saw the best in everyone. 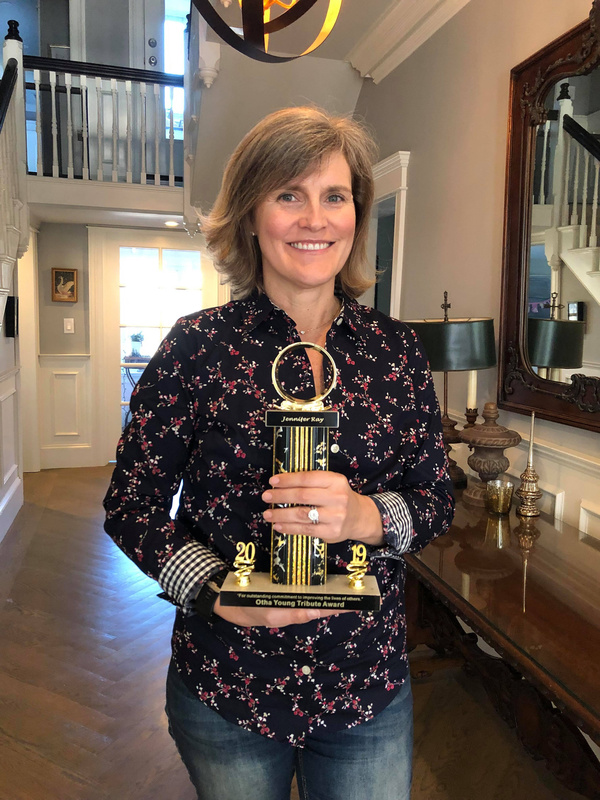 The 2019 "O" Award goes to Jennipher Ray of Milton Massachusetts. Jennifer's drive and ambition are to be admired. "This April will be the third time I've run the Boston Marathon as part of the Dana-Farber Marathon Challenge to raise money for cancer research at Dana-Farber Cancer Institute. I run in memory and in honor of those who have been affected by cancer and I draw great strength and inspiration from each of them. Last year I raised more than $13K and have a similar goal this year. Recently, Jennipher wore Otha Young's name on her shirt as she participated in this event. My other larger volunteer activity is that I am a writing tutor at Boston International Academy, a public school for immigrants. Super inspiring to work with such dedicated and hard-working kids." Jennipher's passion is surely one of great depth. I have known Jennifer over 37 years and she has always helped people. Constantly thinking of the needs of others is what makes Jennipher Ray a perfect recipient of the 2019 "O" Award.